I will work in these other books that I have committed to (due to a lack of willpower and being way too intrigued by the content to turn down!) during this year as well; my time is becoming more manageable now, so I will be able to review more than a single book per month. 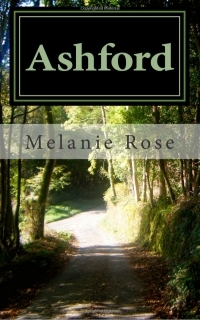 Ashford by Melanie Rose: Seventeen year old Anna is a naive American orphan, delighted to find herself on a tour of Europe in the spring of 1939. A feeling of camaraderie with all mankind thrills her as she mingles with throngs of foreigners, but her joy is short-lived. WWII shatters the world. As fathers and sons, husbands and brothers dive grimly into the trenches, Anna is left stranded in England, disillusioned and afraid. However, this worldwide catastrophe may be the perfect catalyst to mature Anna into the brave young woman she longs to be. Even as the world is shadowed with disaster, Anna finds friends in the kindly Bertram family. In the midst of all that threatens to tear her world apart, will she find a place to truly belong? After the Rising by Orna Ross: When Jo Devereux returns to Ireland after an absence of 20 years, the last thing she expects is to end up writing a family history. Growing up in Mucknamore in the 1970s, with her village riven by the divides of a previous time, Jo found family pride brought her nothing but heartbreak and loss. Now, unearthing seventy-year old secrets of love and revenge in a time of war, and a killing that has haunted three generations, she begins to understand why. Add to that list the Montfort series by Katherine Ashe. How can a person be expected to keep up with all the quality novels out there??? Andrea, Orna Ross is a brilliant novelist for understanding early 20th c. Irish history through novels. Her past two novels I found moving and well written. Thank you, Kristin! I am really looking forward to reading her novels.